Poker, a gambling game has gained popularity since many years. Initially it began as a recreational activity, but it has the raised the bars and attained national levels. This game, is no more just played at small, shabby, dimly lit bars; there has been a whole new avatar of this game. It is played in loud, bright places, flooded with people, both as players and as spectators. This game is now played as tournaments, and has become the means of livelihood for many as well. Another new phase added to this game is its players, the players in the present scenario are not restricted to the males but the females too have their hands at this, and have even occupied ranks among the top players, Annie Duke, being the third among them. She has in fact, mastered the art of playing poker extremely well, and is looked up to as an exemplary figure among the poker players. Poker has achieved a status where it is not just bound to a particular place; it now has other variants, such as- online poker, free poker and World Series of Poker tournaments that are televised. Poker has many types as well, namely: Omaha Poker, Holdem Poker, 7 -Card Stud Poker; which are played at the tournaments. The most popular of these types is Holdem Poker, and so the players have to sharpen their skills, in playing this particular type. Annie Duke too has remarkable poker skills with regards to the Holdem type. Being a pursuer of PhD in Psychology, she has the edge of understanding or rather being able to read the moves of her opponent very adeptly. Her strategy of following the method of “outcome-blind” has immensely helped her, both in earning huge sums of money, and becoming the third leading female in the poker world. There is a total paradox in the game of Holdem poker; while on the one hand it has the most basic rules, yet on the flip side, the decisions, probabilities and subtleties attached to it, are quite complex. The first important thing to consider while playing Holdem Poker is to decide the starting hand. It is this step that will be the deciding factor in losing or winning that hand. Beginning the game with a ‘bang’ gives you an edge over the others, while faltering in the starting hand may weaken your situation as the hand progresses –says Annie Duke . Before a flop on their starting position, the player has to decide on the starting hands. There are seats numbering from 1 to 10. The first three, i.e. seats 1, 2, and 3 are early positions, where players play only superior starting hands. The next seats 4, 5, and 6 are Middle positions, following which are the Late positions, seats 7 and 8. Seats 9 and 10 are called small blind and big blind respectively, where the players place half-bet in the former seat and check it properly in the latter seat. 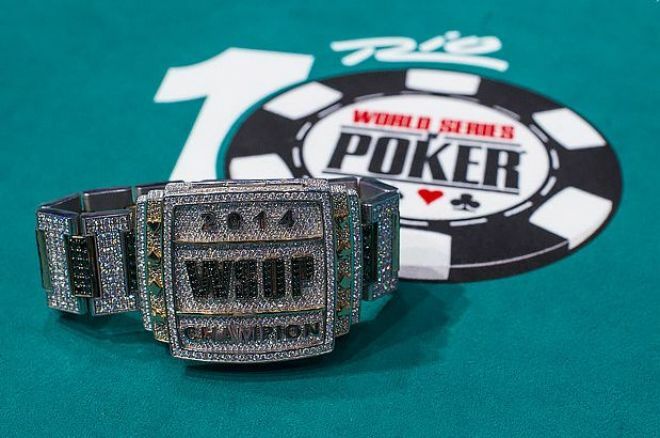 Acquiring expertise, in poker is not a very big deal, the most important quality you need to inculcate is your observation power, and this is the best strategy that you could apply in attempting to win a game at the WSOP.